I just wanted to announce that the ever-talented Jack Fallows of Crumpettimecomics has put the Viva La Robolution print up in his Esty shop for public consumption!! Yes, I know. I can barely contain my excitement. Especially since I JUST ordered my very own print of it. YAY!! His print and my communist robot were a collaboration in celebration of how well robots and communist propaganda go together. Don't you agree? 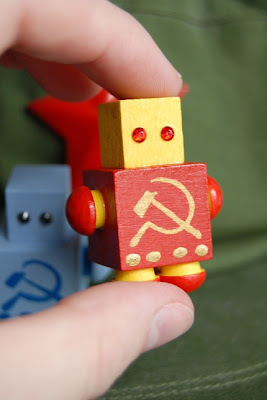 Expect some more communist robots up soon...and hopefully more collaborations! More robots! Yes, you heard right. Now in a primarily white love design. You can find em in my Etsy shop! They are ♥ EVER ♥ so cute. Go look here. I was mentioned in another blog!! Look HERE. Jack Fallows of Crumpet Time Comics sold me some amazing robot postcards several months ago. So I decided to ask him to do some larger prints of similar robots. 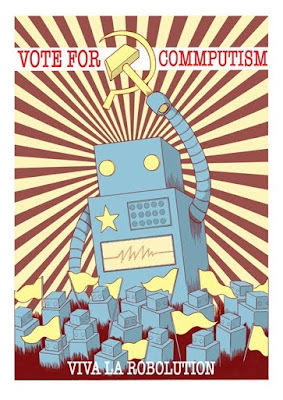 We've gone back and forth with ideas and finally settled on Communist Robot Propaganda. Yes. I know, right. BRILLIANT!! He suggested featuring the design of my robots in the print which I am definitely digging. 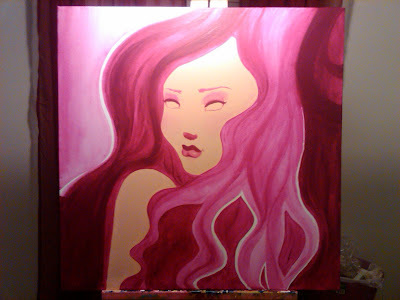 The image above is what he came up with so far and I love it. So excited to see what else he/we come up with. 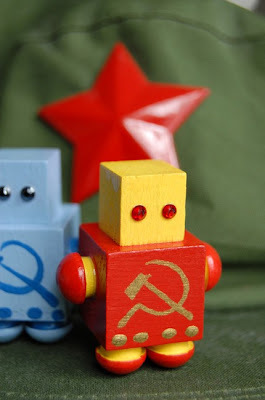 I am going to be working on a corresponding communist-themed robot (and if you're reading this Jack, no, I didn't make it last night...darn American Idol at a friend's. But I'm going to dedicate my lunch hour today to it. For real.) and maybe some others. We'll see. Yay for collaboration!! It's awesome just brain-storming with another artist with similar humor appreciation. My favorite thing about it is definitely the slogans. AWESOME. Keep an eye on both our blogs/shops/etc. for more to come. Note: Image is the property of Jack Follows/Crumpettimecomics (OBVIOUSLY) so don't copy.